Create, send, and track email campaigns that help you build a strong customer base. 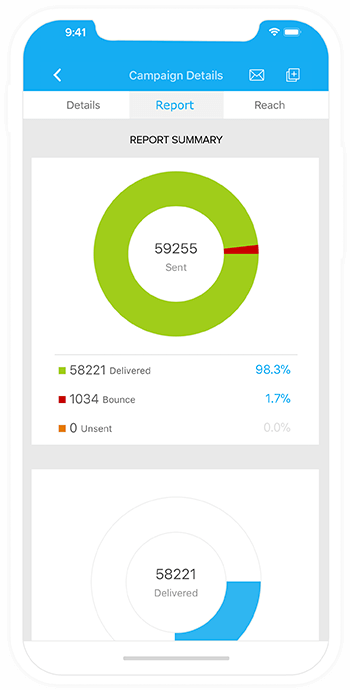 From beautiful email templates to an easy-to-use editor, and automation tools to real-time analytics, Zoho Campaigns has it all. Get started with a forever free account. Build your audience, run targeted email campaigns, and increase your reach. Our email marketing software helps you become the marketer you always wanted to be. 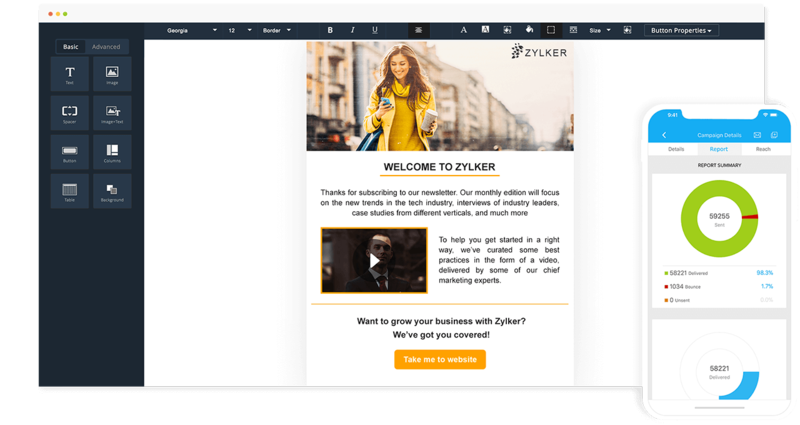 Pre-designed templates, drag-and-drop editor, and quick list management make it easy for you to get started with your email campaigns. If you keep your subscriber data in Zoho CRM, you can sync your account with Zoho Campaigns, send out emails, and see the results inside your CRM account for an easy follow-up. Send follow-up emails with ease using our marketing automation tools. Email workflows and autoresponders let you trigger emails based on a subscriber's activity. Take the guess-work off your email campaigns. Test, improve, and succeed. Insightful reports tell you every detail of your campaign performance—unique opens, clicks, shares, and more. Achieve better engagement rates by managing approval. Send email campaigns only to those who have opted to receive your emails. 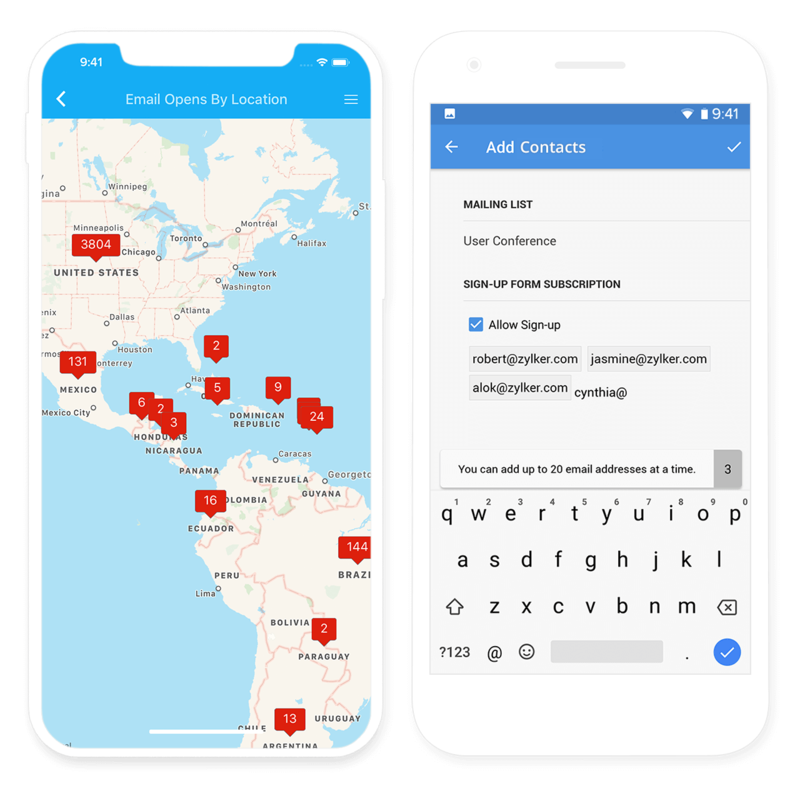 Personal connections with personalized email campaigns. Go beyond the first name. Make your messages dynamic so that every subscriber feels that your message is written just for them. Connect to other business applications. Zoho Campaigns works with a number of products that you use to run your business. "Zoho Campaigns helps us move our prospects closer to sales"
Email marketing on the go.